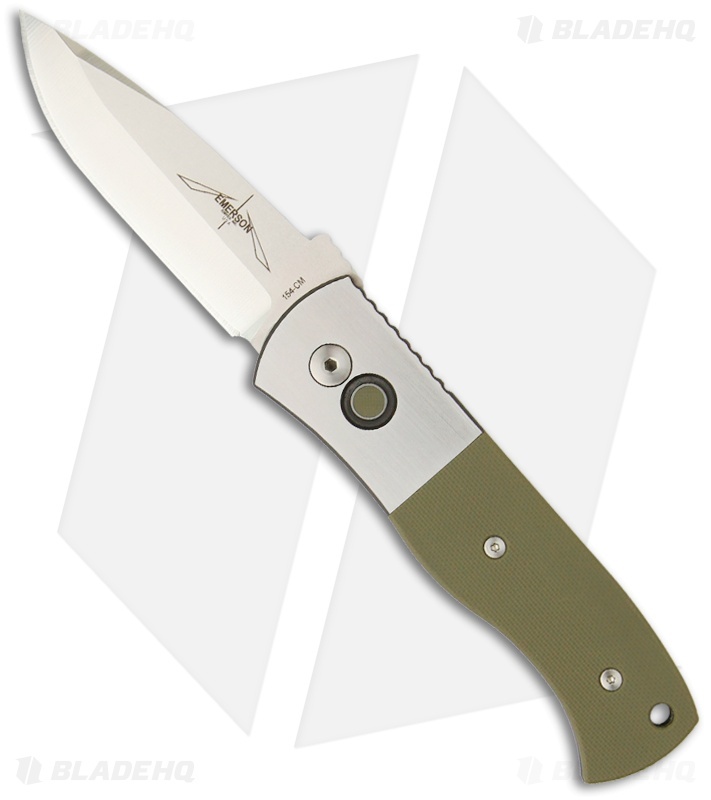 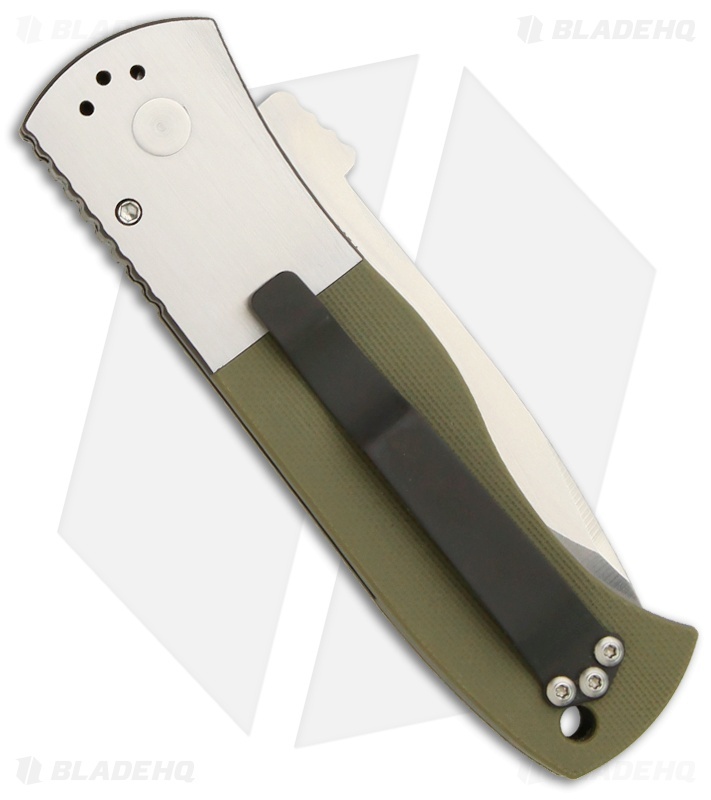 This Custom Steel CQC-7A knife features a two-tone (satin faces and black edges/recesses) solid 416 stainless steel frame with green G-10 inlays and a matching firing button insert. 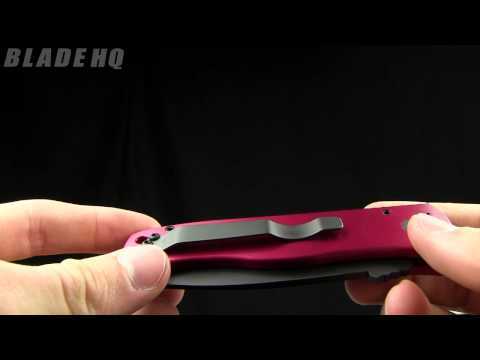 The 154-CM stainless spear point blade is stonewash finished. 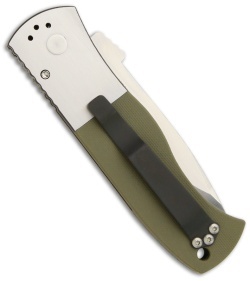 Includes a black pocket clip (tip-up/down).